The ability to both climb and jump S-curves is what separates high performers from those that never manage to translate a brief period of accomplishment with a single winning offering into a string of business successes. 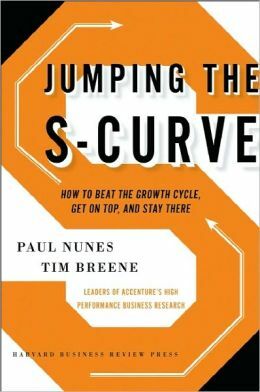 In the book the authors point out how in most companies, the management (and leadership) is focused on managing the growth curve and rarely take the effort to understand and address the hidden S-curves. The hidden competition curve: The impact of this curve is that because of innovation and other market condition changes, before the business hits its revenue peak, the basis of competition on which it was founded expires. The hidden capabilities curve: In creating capabilities to ride the revenue S-curve, companies create capabilities that they might not be aware till its too late. By the time they are aware of those unknown capabilities in the organization the market would have changed and the company would need to develop new capabilities to compete. The hidden talent curve: While putting substantial efforts in scouting for new talent, companies often are unable to retain the talent they already have. The authors refer to the inability of companies to retain what they call ‘serious talent’: people with both the capability and the will to drive business growth. The book is a call to management to focus on what the authors call is the ‘real agenda’ – to understand how high performers create an organization that manages to all four curves simultaneously. Ensuring that they have more talent than seems required by becoming hothouses of talent.